The ultimate ‘essential oil’ to add to your hair care collection, Briogeo’s B. Well Tea Tree Oil wards off blemishes while soothing any dryness, itchiness or flakiness in your scalp. Organic, non-GMO and harvested from Australia, tea tree is known for its strong antimicrobial properties, which effectively combat scalp issues while easing mental stress with its relaxing, aromatherapeutic scent. Whether your scalp’s oily or dry – or you want to use it on hair or skin instead – B. Well Tea Tree Oil will become a mainstay on your bathroom shelf. A naturally antimicrobial essential (oil!) 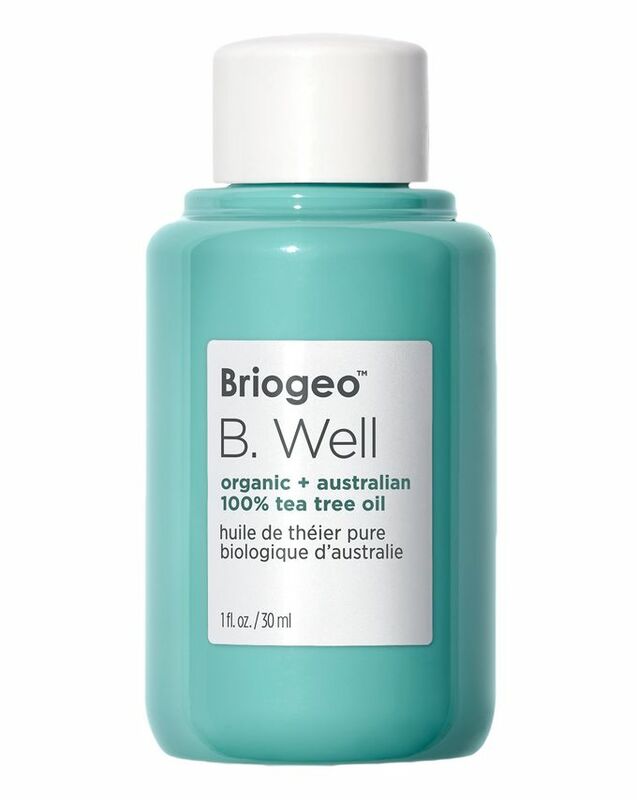 addition to your hair care arsenal, Briogeo’s B. Well Tea Tree Oil is perfect for warding off irritating scalp blemishes, soothing dry, itchy, flaky scalps or balancing oiler manes. Organic and non-GMO, the 100% pure tea tree oil is harvested from Australia and rich in terpene compounds that give it the antimicrobial properties that combat acne and soothe dry, itchy or irritated scalps. A multi-purpose miracle worker, this can be used for skin and hair as well as scalp, plus, it provides aromatherapeutic benefits, reportedly easing mental stress, purifying the mind and renewing the spirit. Vegan, cruelty-free, gluten-free and ethically sourced, this guilt-free formula will be a welcome addition to any beauty routine. Apply to scalp, skin and hair as needed.